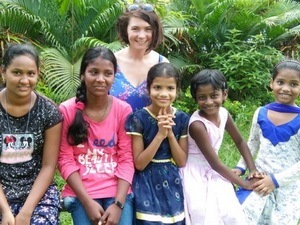 Goa Outreach is a project based in Goa, India, with the aim of helping local disadvantaged children regardless of their religion, class, caste or gender. 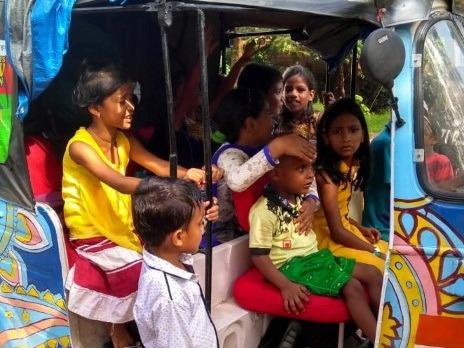 Many of these children are slum and street children who have arrived in Goa alone or with their families from neighbouring states in the hope of an easier and better life. Children often end up working on the streets to support the family income, this is often in the form of Rag Picking where children, usually in small groups, walk around the streets picking up scrap in the form of plastic, cardboard and metal. This is later sold at recycling centres. Other children can be found working the beaches begging, selling trinkets or other small items which they buy for 5rs and try and sell to tourists for a hefty mark-up. At Goa Outreach we support children by getting the children into school and providing support to encourage them to stay in school. India now has the Right To Education Act which states that all children must attend school from 6 to 14 years of age, there is no requirement for birth certificates, which was often a reason why previously, disadvantaged children didn't attend school. 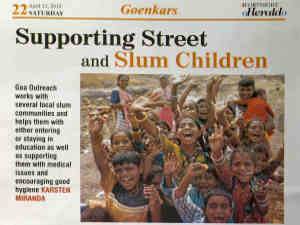 Goa Outreach also continues to support children beyond 14 years of age and also supports children in pre-school/ kindergarten. Children who live in slums and on the streets often suffer from long term health problems, which do not get the necessary treatment early on. The conditions in the slums exacerbates these problems and scabies, impetigo, conjunctivitis are common issues that are easily spread. Infected mosquito bites often go untreated resulting in more severe infections which leave scaring as well as the danger of contracting Malaria or Dengue Fever. To help the children with health care we provide free medicines and also give out monthly health packs to promote cleanliness. Mosquito protection is also given to families as Malaria and other vector borne diseases are still a threat to families living in the slums. We want to be able to give street and slum children a chance of a childhood worth remembering. We want the children to study hard, but we also want to provide them with a safe and fun environment with access to toys and games which other children take for granted. We will continue with this hope that our work will not only be beneficial for the children; it will be fun, safe and become an extension of their family life. is to stop giving to children who beg! Please do not give to children on the beach or street. One of the reasons there are so many children working as beggars and selling their wares on the beaches is that tourists, usually foreign tourists, see the children and buy items off them for well over the odds prices, or give them money which although they think they are helping, it actually exacerbates the problem. The children learn that living on the beach is much more profitable than going to school. The parents of the children also see this as easy income, so instead of the parents going to work, they just send out their children, the younger the better in their eyes, as the younger children bring in more money from Tourists. The only way to get children to stop begging is to stop giving to children who beg. Please support us or any other organisation who is working at getting the children off the streets and into school. We keep a record of all our work through our online blog. It is a great resource to see what has been happening in the lives of the children we help. Below are the four latest blogs that have been posted. We hope you enjoy reading them.